The way to size it right! 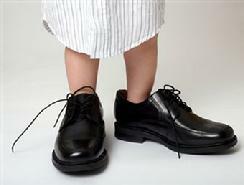 Getting the size right is important whenever you buy shoes. Too big just won't work, too small is not going to get it either. Your just not going to be comfortable unless their the right size. Your indoor comfort system must be the right size or your not going to be comfortable. Too small and the system will not have the capacity to control temperature at peak load. Just when you need it most, it reaches it's limit and it starts to lose control of the temperature. So often the "fix has been to "go big", add a ton just to be safe! What could be wrong with that? Excessive air flow resulting in drafts and high noise levels. Increased energy consumption due to larger fan and blower motors. Increased energy consumption due to the larger compressor. Compressor and heat exchangers can fail due to over sizing. Load calculations are not just a good idea, they are essential. Computerized load calculation software has been around since the early 90's. Before that, simple load calculations for homes were done with paper forms. At the time these were the standard and if done properly they could get you close. Not today, homes have changed. Construction materials and methods are focused on energy efficiency. Today's "tighter" homes are better insulated and require less capacity to maintain temperatures. On the other hand today's customs homes often have larger windows and glass doors or other features that require special consideration when sizing a indoor comfort system. Existing homes can also benefit from computerized load calculations. Often the original contractor did not properly size the heating and cooling system. In addition when upgrades to insulation, windows and crawl spaces are done the new loads can be significantly less than before. On the other hand additions to your home can overload the existing system. The only way to properly size the new system or balance the existing system would be to perform a new load calculation. What size do you want, to big, to small or just right? Call us to size your new indoor comfort system right!